American Scarlett Parker and British Vivian Tremont are cousins and co-owners of Mim's Whims, a fashionable London hat shop. But in between making and selling hats, they don their sleuthing caps to solve murders. Not only is Scarlett Parker's love life in the loo—as her British cousin Vivian Tremont would say—it's also gone viral with an embarrassing video. So when Viv suggests Scarlett leave Florida to lay low in London, she hops on the next plane across the pond. Viv is the proprietor of Mims's Whims, a ladies' hat shop on Portobello Road bequeathed to both cousins by their beloved grandmother, and she wants Scarlett to finally join her in the millinery business. But a few surprises await Scarlett in London. First, she is met at the airport not by Viv, but by her handsome business manager, Harrison Wentworth. Second, Viv—who has some whims of her own—seems to be missing. 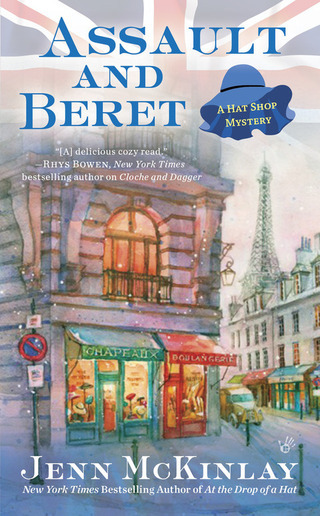 No one is too concerned about the unpredictable Viv until one of her posh clients is found dead wearing the cloche hat Viv made for her—and nothing else. Is Scarlett's cousin in trouble? Or is she in hiding? Scarlett Parker and her British cousin, Vivian Tremont, are hard at work at Mim's Whims—their ladies' hat shop on London's chic Portobello Road—to create hats for an Alice in Wonderland themed afternoon tea, a fund-raiser for a local children's hospital. 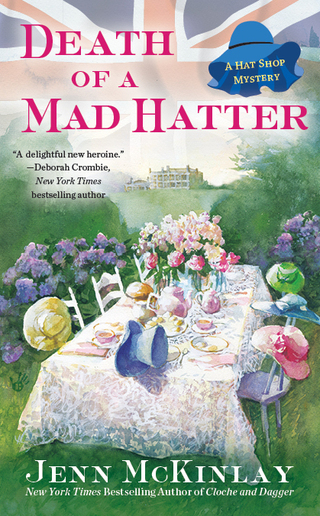 It seems like a wonderfully whimsical way to pass the hat, and Scarlett and Viv are delighted to outfit the Grisby family, the hosts who are hoping to raise enough money to name a new hospital wing after their patriarch. 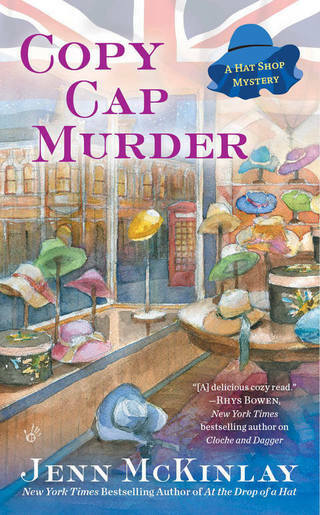 From the New York Times bestselling author of the Library Lover's Mysteries and Death of a Mad Hatter comes a tale of hat shop owners who put a cap on crime. 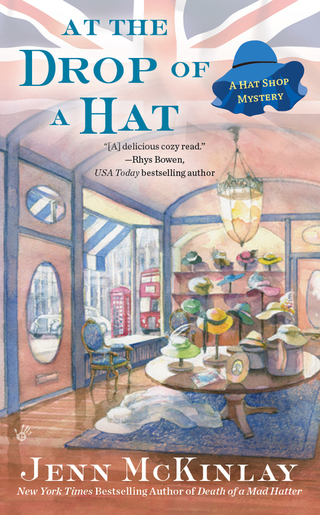 Cousins Scarlett Parker and Vivian Tremont's fashionable London hat shop, Mim's Whims, is visited by a new customer bearing an old hat box. Ariana Jackson is getting married and wants to restore her mother's bridal hat and veil for the occasion. The elegant item was made by Scarlett and Vivian's grandmother over thirty years ago, so Viv is delighted to take the job. When Scarlett goes to Ariana's office to consult about the restoration cost, she finds her outside, standing over her boss's dead body. 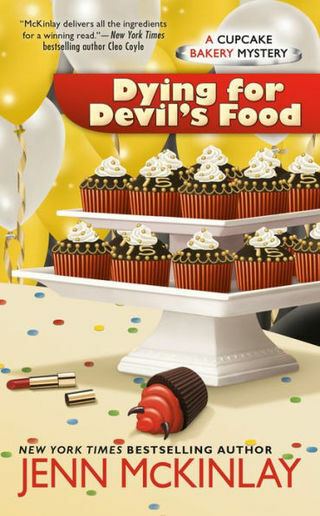 Though Ariana claims to know nothing about his demise, the investigation unveils a motive for murder. Now, with the bride-to-be in custody and the wedding on hold, Scarlett and Viv must find the real killer before Ariana's future is boxed up for good. 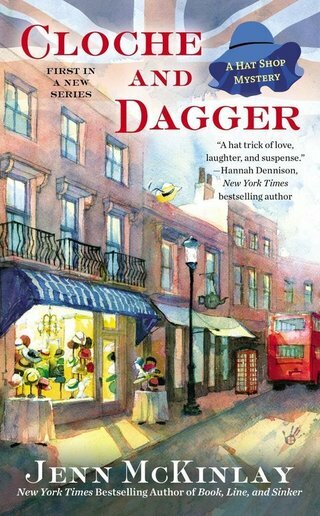 The New York Times bestselling author of At the Drop of a Hat returns to her London hat shop with a fresh tale of milliners and murder. For Scarlett Parker, part of the fun of living in London is celebrating the British holidays, and she's excited to share her first Bonfire Night with her cousin Vivian Tremont. Invited to a posh party by their friend Harrison Wentworth, Scarlett and Viv decide to promote their hat shop, Mim's Whims, by donning a few of their more outrageous creations. The hats prove to be quite the conversation starters as the girls mix and mingle with the guests—never suspecting that one of them is a killer. It's a cold, clear night, perfect for the British tradition of tossing a straw stuffed effigy of Guy Fawkes, traitor to the crown, onto the bonfire. But instead of a straw man, they realize in the heat of the moment that the would-be Guy Fawkes is actually Harrison's office rival and he's been murdered. 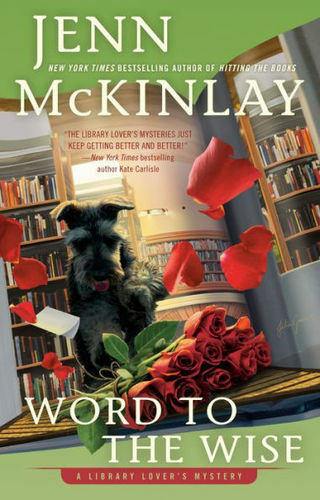 Before the smoke has cleared, Harrison is the Metropolitan police's prime suspect, and Scarlett and Vivian must find the real homicidal hothead before their dear friend's life goes up in flames. London milliner Vivian Tremont and her American cousin and partner, Scarlett Parker, tip their caps to their beloved shop on Portobello Road in Notting Hill and set off for Paris, where Viv can't wait to teach a hat-making class. 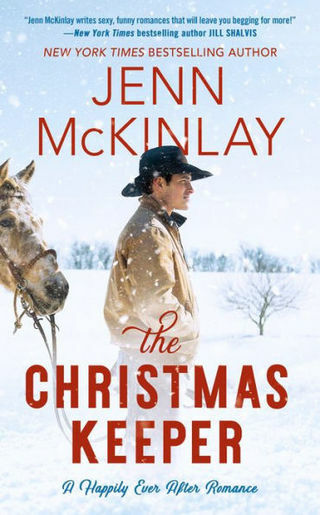 But she has another reason to travel to the City of Light: to find the man she impulsively eloped with years ago and have their marriage annulled.